I am a Summer weather type of girl. I love days filled with loads of sunshine and warm breezes. and we try to milk the season as long as we can. it definitely makes me want to retreat into the house for warmth. I am not a cold winter weather loving kind of girl. that we could enjoy the seasons outdoors just a bit longer. 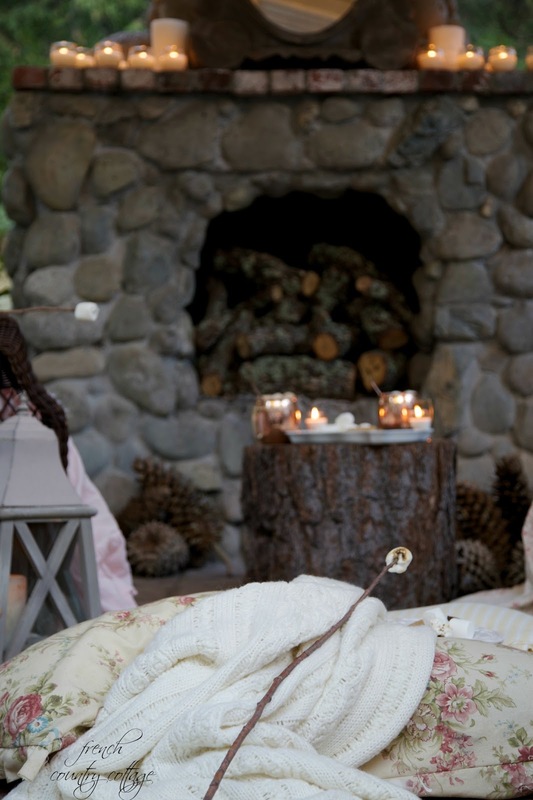 the focus and decor turns to cozy. Warm blankets. 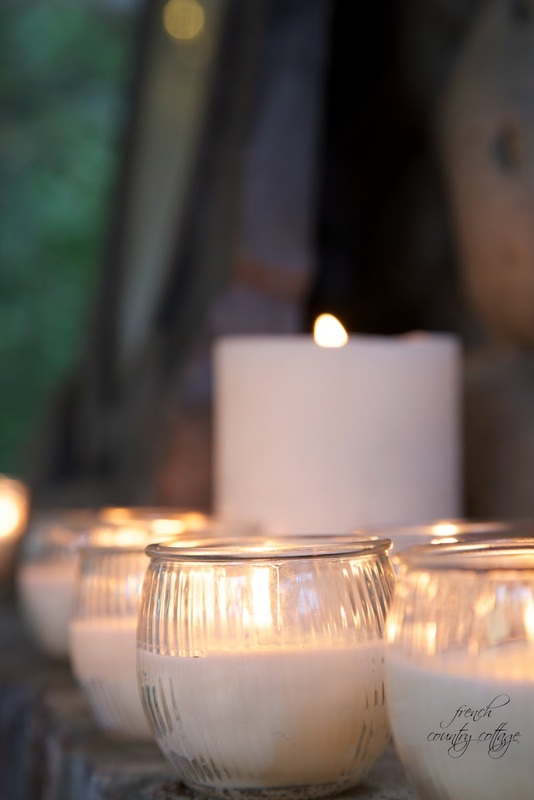 Candles glowing. Roaring fires and mugs of hot cocoa. isn't always the best spot to be for warm and cozy. Especially in one of those places that get tons of snow and cold weather. Unless you are one of those Polar Bear types that goes swimming in the ice filled waters and things like that. a fun evening get together. favorite movies, lots of popcorn and even more giggling. 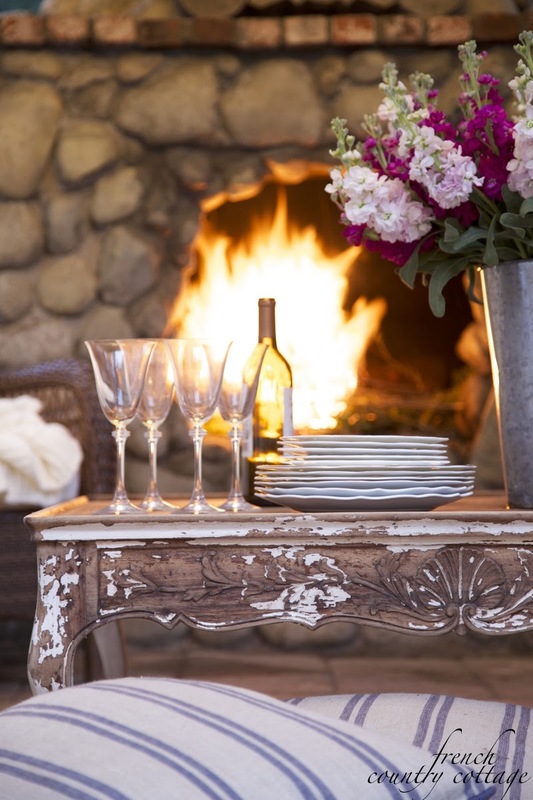 is out on the patio or in the living room next to the fireplace. and no matter what time of year it is- those girls nights are always a big hit. 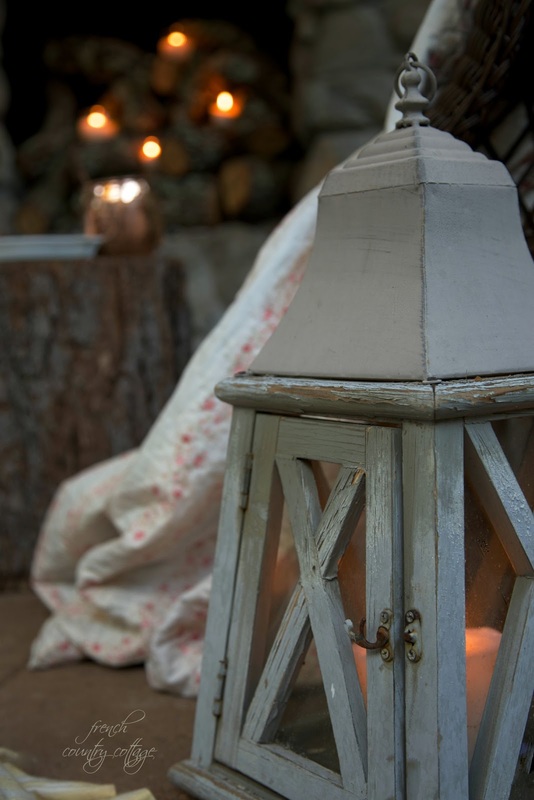 were perfect for warming up those chilly winter evening get togethers too. and chunky throws as well as pillows for plopping on the floor for extra spots to sit. I love those euro sized pillows for the floor. These blue striped ones below are some of my absolute favorites. we needed a little somewhere to set treats. and this tree stump destined to be split up into bits was in the wood pile. 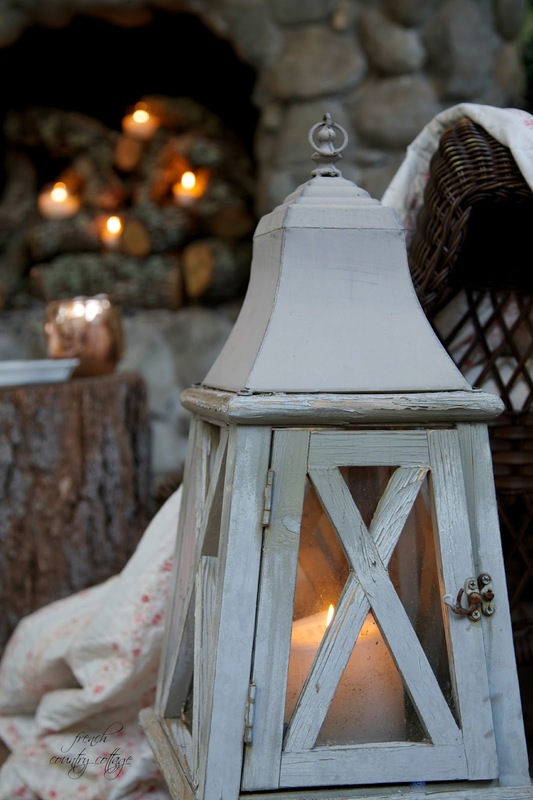 Another favorite - weathered lanterns for holding candles. it keeps them safe from breezes and tipping over. any other areas that might need a little bit of warmth. whether out on the patio or indoors. with car stuff, diy stuff and work stuff. Lovely view of your patio and lantern from here. That fireplace!!! Oh, so gorgeous!!! Faux all the way Angela!! ;) Thanks so much for stopping by! 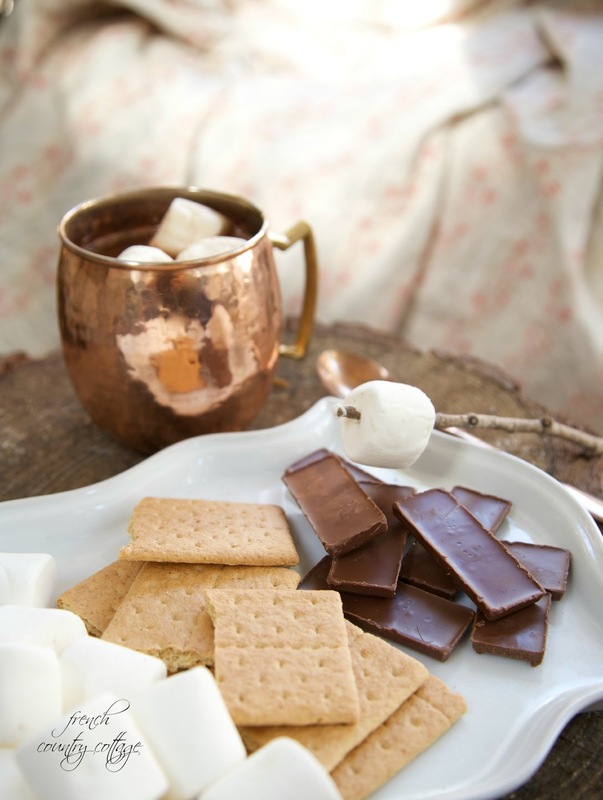 I love your post and your s'mores! Wish I was there. You make winter seem ok! I can just see your daughter and her friends enjoying this space you've made! Beautiful photos! It made me want to be there with all the lovely candles, but I'll stick with my Florida winter weather for now! 😀 Enjoyed the post! Everything looks so spectacular...what a lovely place to spend time when it's a bit chilly out. You are the master of vignettes...I so enjoyed these, talented lady! Beautiful! I wish I could do that but right now it's freezing and snowy :) Lucky you! Beautiful pictures! 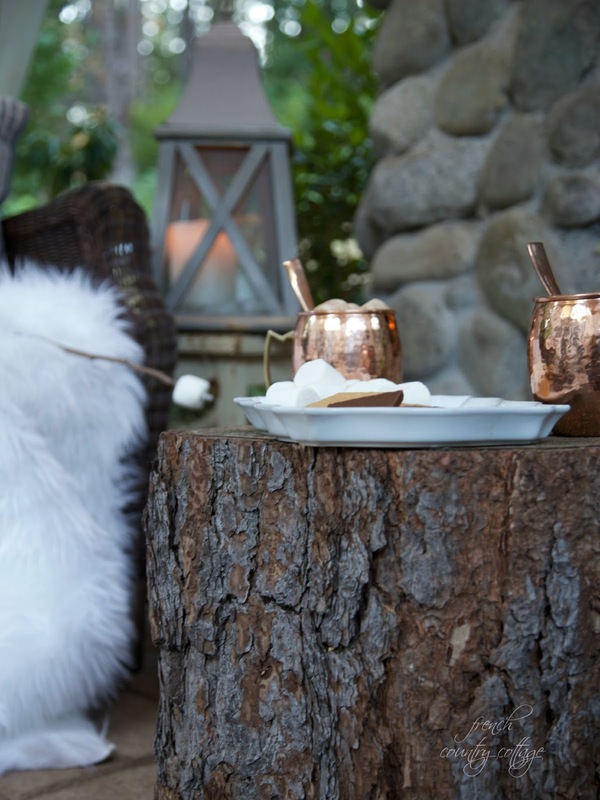 The stone fireplace, copper mug, and candles are just dreamy. Your pictures look so inviting I csn almost smell the fire ! Beautiful! Thank you for bringing the warmth of summer into this winter season.